Kagiyade Beat! 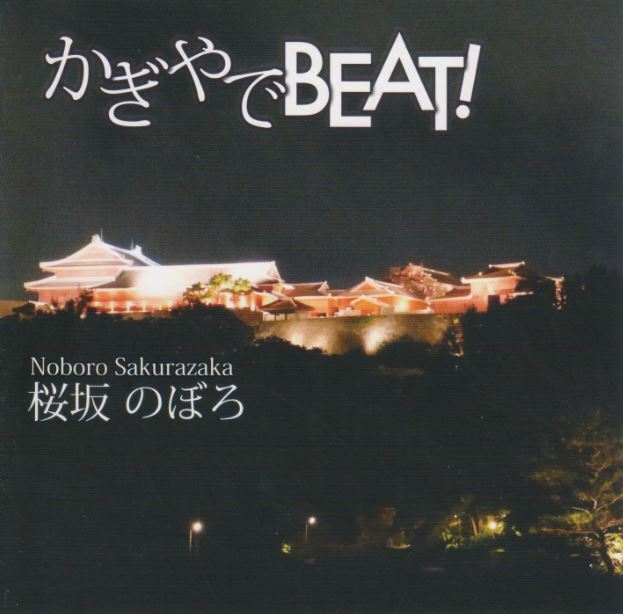 is a three track CD by Okinawa’s Noboro Sakurazaka. It was released just over a year ago but has been getting more attention since the title track was selected for the Music from Okinawa compilation presented at WOMEX in Spain last October. The track is based on the familiar Ryukyu classical piece ‘Kagiyadefu’ and is arranged with electronic beats and vocals. This is a new take on something very old and has a contemporary freshness but with its traditional roots intact. The other tracks are different versions of ‘South West Islands’ a love song by Sakurazaka from the 1980s inspired by his longing for the Okinawan islands. The same song is then arranged in a floor mix version. Okinawan music and electronica aren’t new but Sakurazaka gives us something just a little bit different which is very likeable and accessible. It would be really interesting to listen to a full length album. This entry was posted on February 11, 2015 at 9:00 am and is filed under Okinawan Albums. You can subscribe via RSS 2.0 feed to this post's comments. You can comment below, or link to this permanent URL from your own site.